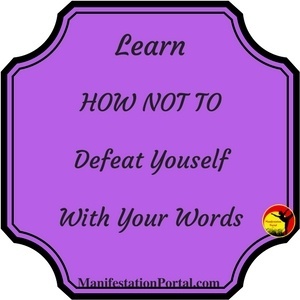 DIY Affirmations work just as well as any powerful Affirmation Software. 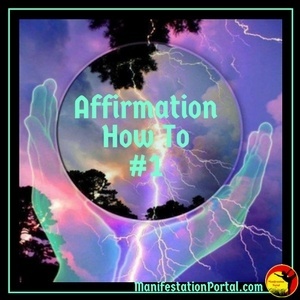 Affirmations is the 2nd most important thing when it comes to the manifestation of your dream. If you haven’t read my article on DIY Visualization (most important step) read that first. If you want to accelerate the time it takes to manifest something into your life, follow my DIY Affirmation steps. Once again, I’ll provide you with examples from my life. All you have to do is duplicate it with affirmations that pertain to what you want. Do you think you have the worst luck? Do you feel like nothing ever goes your way? Do you tell your friends & relatives that? Did you know that if you controlled your thoughts & changed the words you use, you’d get the things you want a lot faster? I’ll tell you why & prove it a little later on. I can’t stress enough the importance of getting into the habit of always Saying and Thinking positive things. It’ll accelerate the speed of your success. Everything you Think or Say gets embedded into your Subconscious Mind. It’s your Subconscious Mind that’ll help you the most. Your Subconscious Mind doesn’t have the ability to distinguish between what’s a joke and what’s not. It also can’t distinguish between what’s the truth and what isn’t. In other words, your Subconscious Mind attracts the things it hears you think & say. So what actually happens when you tell the people you know that nothing ever goes right in your life? What happens when you constantly think that everything is always going wrong? Your subconscious mind doesn’t bother leading you towards the things that could improve your life. I guess you could say you’re sending you subconscious on vacation. Have you ever thought or said any of the following 7 things? If you have, these are the affirmations you have to stop. Actually you have to put on end to all the things you think & say that are negative. I’m sure there are other negative statements you say and think or even joke about. Believe it or not, you’re actually instructing your subconscious mind to lead you directly to all the resources you need to increase that. How fast do you want to get the things you’ve always dreamed about? The more negativity you get rid of in your life, the faster you’ll see your dreams turn into reality. a) Make a list of all the negative things you’ve heard yourself talk & joke about concerning what you want most. b) Now, make another list of all the negative thoughts you’ve found running through your mind about the same thing. c) Under each one, write down a Positive Affirmation that you can replace each one with. I’ll give you an example from my life when I was trying to lose weight. You just have to replace the things I did with what you want to manifest. 1. My body effortlessly burns excess fat every day. 2. I’m looking better & better every day. 3. Foods that are unhealthy or high in calories taste terrible to me. Use your positive affirmations a few times throughout the day. Along with saying them, visualize them. For example, I visualized myself at a party. I looked around the room. I saw myself having a better figure than everyone else there. I could see all the heads turn when I walked into the room. I could hear people commenting on how good I looked. Speaking & thinking daily affirmations isn’t good enough. Really feel how happy you’ll be when you finally see your dream turn into reality. Feel that excitement. 1. I can’t wait to get there so everyone can see how great I look. 2. I’m so glad my metabolism is constantly working in high gear. 3. I just love the fact that I can wear anything & look great in it. The secret here is, you have to believe it. One of the hardest things to do is to ignore your conscious mind. It’s your conscious mind that comes up with all the lousy thoughts. Thoughts like, I’m never going to lose the weight I want. Remember, your Subconscious Mind doesn’t know if what you’re saying is true or not true. Also remember, it’s your subconscious Mind that will help you the most. So, let’s give it a little extra help. IMPORTANT: I want to make something very clear. If all you’re going to do is just say a bunch of affirmations & not take any action, your dream will probably take a lot longer to materialize. In my example above, every time I thought of something that would help me lose weight, I wrote it down. It’s surprising how many ideas your subconscious mind can come up with for you. When I was on the internet (not looking for diet tips), I just happened to see a free calorie counter that I still use today. Once again my subconscious mind was helping me notice these things. I set up a diet plan for myself. In other words, I took action. Constantly saying affirmations kept me motivated & focused on losing weight. It increased the speed of reaching my goal. This is just an example of how your subconscious mind helps you. 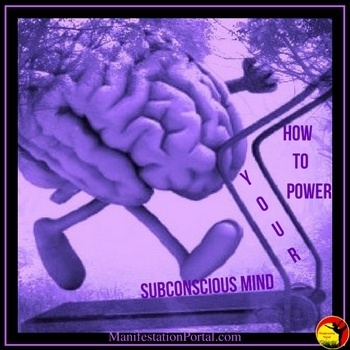 I’ll tell you how to Power Your Subconscious Mind a little later on. Right now, it’s important to know how it works. Let’s say you’re going on a vacation. I don’t know about you, but when I’m going on vacation I keep telling myself, ” What else do I have to take?” Every time I think of something, I write it down. In this case, my AFFIRMATION is (what else do I have to take). My subconscious mind hears this & automatically goes to work thinking of things I’ll need. You might open up a drawer and see your hair blower or passport. Your Subconscious Mind automatically triggers your conscious mind that you’ll need these things for your holidays. You could be walking through your house & all of a sudden you’ll think of something you’ll need. That’s your subconscious mind working for you again. Here’s one more example. Did you know that your memories are stored in your subconscious mind & not your conscious mind? Let’s say a song comes on the radio. Someone asks you what the name of the song is. You know that you know the name of the song but you just can’t think of it. You think & think & you still can’t come up with it. A little later on, the name of the song just seems to pop up out of nowhere. That’s your subconscious mind helping you again. Power Your Subconscious Mind: Remember me telling you that your Subconscious Mind believes everything it hears you think & say? So, kick out all the negativity from your life & replace it with words & thoughts about what you want to manifest into your life. This is how we Power Our Subconscious Mind. We keep fueling it with the things we want. The more your subconscious mind hears what you want, the harder it works at attracting it for you. 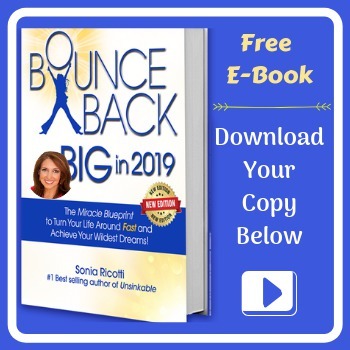 Don’t Confuse Your Subconscious Mind: As soon as you start letting the negative words & thoughts creep back in, your Subconscious Mind stops working or even worse, it’ll start to attract those things instead. Then your rate of success will slow down considerably. That’s why it’s important to keep the negative thoughts & words out of your life. I know I don’t want to wait 5 years to get something I want. I’m sure you don’t either. WHAT ARE YOU ASKING YOUR SUBCONSCIOUS FOR? I hope it’s nothing negative. Don’t defeat Yourself with your negative talk. Make a Positive Affirmation List. Now take each one of those affirmations & write it on a sticky note or cut a recipe card in half and write them on that. Even better, put a picture of what you want and an affirmation on a recipe card. 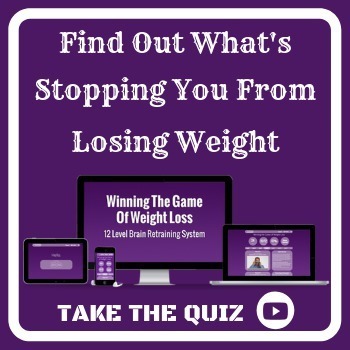 I’ll use the weight loss example again. I would use both sticky notes and recipe cards. a) I would put a picture of how I want to look on a recipe card. The affirmation on the card would say, My metabolism is always working in high gear. b) I would put a sticky note on my closet door that would say, “I’m so happy & grateful I look great in everything I wear. I put a different affirmation on each of the sticky notes & recipe cards throughout my house. IMPORTANT: If you really don’t want sticky notes around your house, make sure you’re at least thinking & saying the law of attraction affirmations that you wrote down earlier. Don’t just say & think them once a day. Say them several times throughout the day. It’s easier with the notes because you’re constantly running into them. You’re constantly being reminded of what you want to manifest. The affirmations will help you to stay focused & motivated. 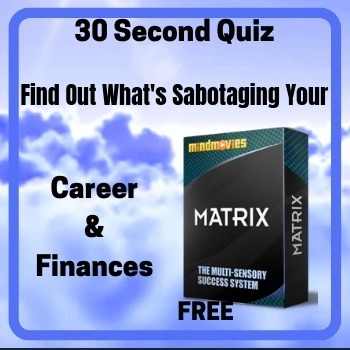 You’re actually fueling your subconscious mind to help you even more. Now it’s time to practice. Don’t just do it once throughout the day or even worse, once a week. The trick here is to be conscious of what you’re saying & thinking. Get into the habit of replacing everything that is negative with a positive affirmation. ■ BELIEVE: Believe what you’re saying. Don’t use a positive affirmation & be rolling your eyes at the same time. Also, don’t be thinking, “I just bet this is going to work” (sarcastically). The more you convince your subconscious mind that what you’re saying is the truth, the faster & harder it’ll work for you. ■ FEEL: This is the important one. Feel the excitement. Imagine how you’d feel if someone just gave it to you. Every time you see and read an affirmation, recreate that same feeling. ■ HABIT: Do your affirmations several times throughout the day. If you catch yourself saying or thinking something negative, replace it right away. It’s crucial to turn Affirmations into a habit. ■ TAKE ACTION: Make a plan. If you can’t come up with a plan right away, that’s okay. Just keep saying your affirmations. It’ll help to keep you focused on what you want. As Ideas pop up, write them down. I always write down 3 things that I’m going to accomplish each week to take me closer to my goal. Make sure their doable. So many things can help you get what you want. You could be at the right place at the right time. You just might meet someone that can give you some great advice. You might find something very useful on the internet. So many things seem to fall into place when you’re focused on what you want. Do Affirmations Work? Read the research done by Psychology Today. Using Subliminal Software is an alternative to my DIY Affirmation Program. Why do People Use Subliminal Affirmations? Some people just don’t like or have time to write out affirmations. That’s okay. Some have people around them that aren’t very supportive when it comes to the Law Of Attraction. Some people use subliminal affirmations to increase their speed of success even more. Then there’s the fourth type of person. They try their hardest but they just can’t seem to keep the negative thoughts out of their heads. There are a couple of alternatives that you can try. 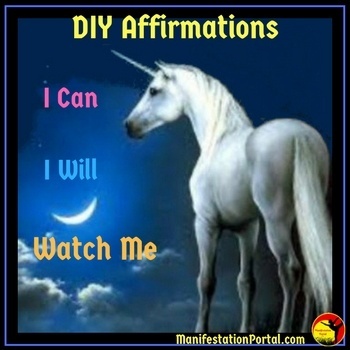 Yes, I still do my DIY Affirmation program but I usually add subliminals to increase my focus & motivation even more. You don’t have to do both. My affirmation instructions above, work just fine by themselves. 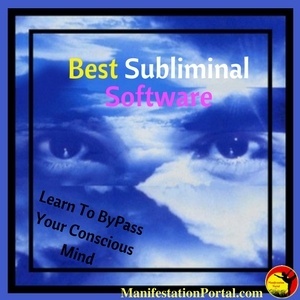 When it comes to subliminal software, there are two programs that have worked great for me. 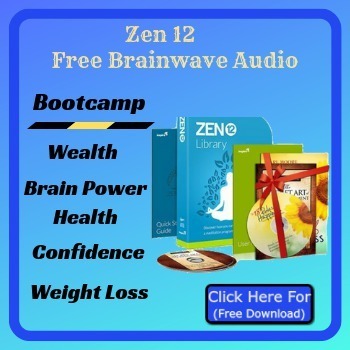 Both programs will override your conscious mind that gives you all those negative thoughts. It’ll go directly to your subconscious mind. MINDZOOM – My #1 Pick is MindZoom. Not only is it a great product, it’s also one of the less expensive programs I found so far. I’ll just quickly summarize what it does. The link to my personal detailed review is below that. Mindzoom is a SSM (silent subliminal messaging) software program. What I like the most about this program is you don’t need to set aside time every day. You just turn it on whenever you’re on your computer. You can pick from their affirmations or use your own. 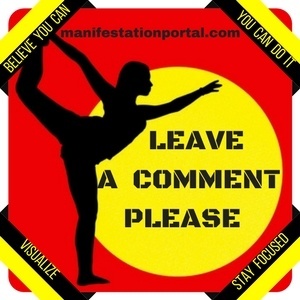 The affirmations flash across your screen & are also spoken to you. You don’t hear or see them but your subconscious mind does. The affirmations totally skip your Doubting Conscious Mind. Think of it like a dog whistle. When you blow the whistle, your dog hears it but you don’t. 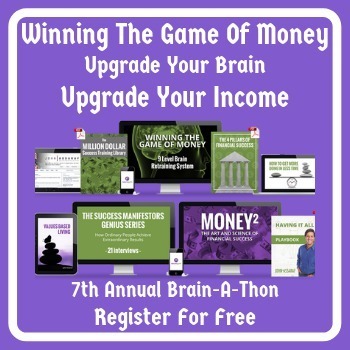 To purchase MindZoom, Click Here. To purchase MindMaster, Click Here. If you have any tips about affirmations that I don’t have listed above, please leave them below. Thanks for dropping in & reading my article on, DIY affirmations.